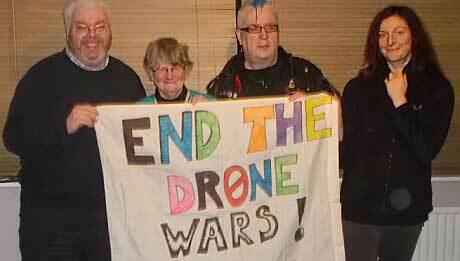 End the Drone Wars 4 Trial: Put the drone wars on trial! 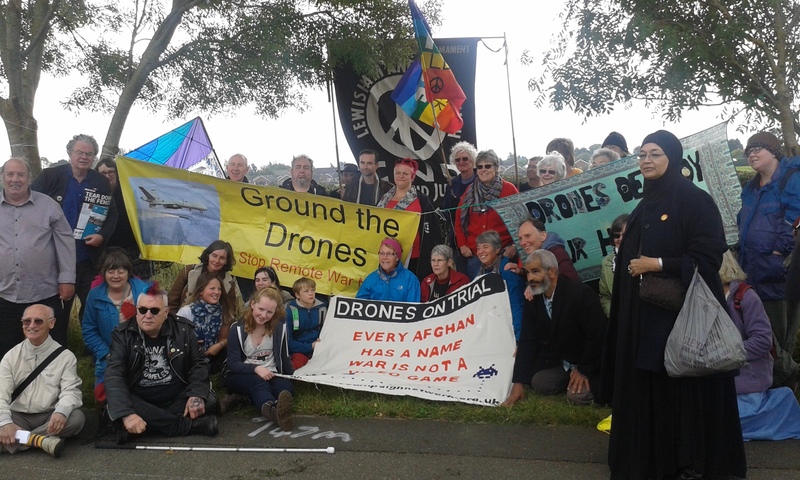 On Monday 19 October four British drone protesters, Penny Walker, Katha Karcher, Eagle Spits and Chris Cole will go on trial at Lincoln Magistrates Court accused of criminal damage to the perimeter fence of RAF Waddington. The four entered RAF Waddington on January 5 2015, the first working day of the new year, to disrupt on-going British drone operations in Iraq and Syria. The four will argue they were acting lawfully, reasonably and proportionately in the circumstances in order to prevent the injury, death and suffering of civilians. 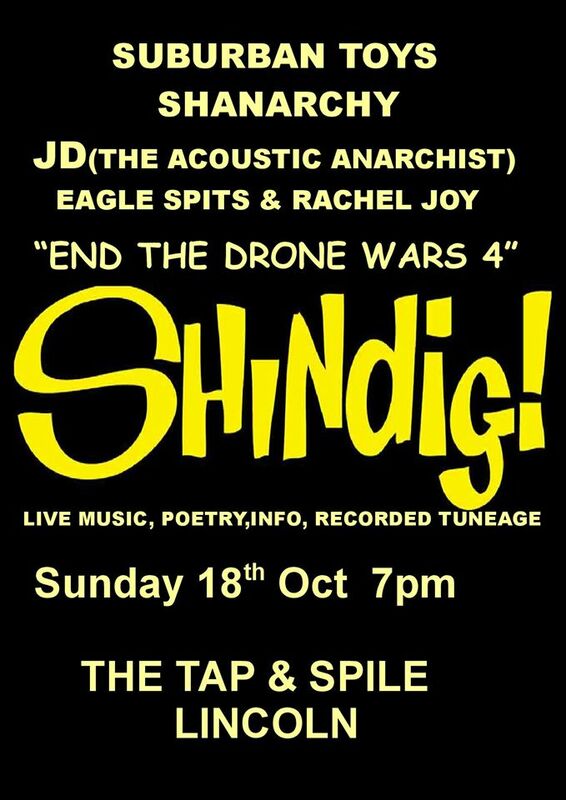 Sun 18 Oct: 7pm: Pre-trial Shindig, Tap & Spile pub, Lincoln. Music, poetry, fun. Details here. Keep an eye on End The Drone Wars facebook page and Twitter feed for up-to-date info.